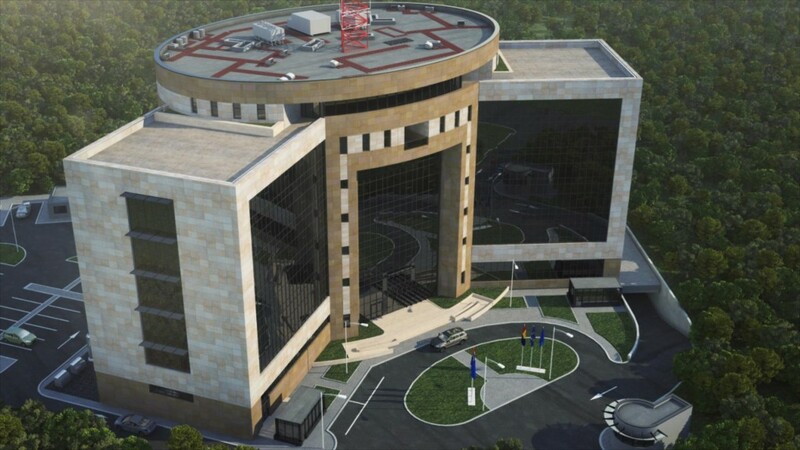 The Romanian Border Police recently inaugurated their new command and control center, an 18,000 sqm building in Bucharest that will host the system data center and the national operational dispatch center. Built and equipped by EADS company Cassidian under a EUR 524 million contract awarded in 2004 and extended in 2009 to cover the complete Schengen external border, this is the first phase of the Romanian Border Security solution, which protects the longest land border in Europe against illegal immigration, smuggling, trafficking and terrorism. The contract amount was downsized from EUR 650 million. The integrated system has surveillance enhanced recognition and identification capabilities, operational applications for command and control with automatic vehicle location and threat analysis at border crossing. It also includes e-learning for border guards, a secure Tetra mobile communication network. The key features of the system have already been provided to the Romanian Border Police: fixed cameras and radars on hot locations around the border, integrated in local command centers, a Professional Mobile Radio-communication network on nine external border counties, data and voice communications, as well as infrastructure. The IT applications needed to manage the operations at the border have also been installed. Cassidian, a company of the EADS group, with around 28,000 employees, had revenues of EUR 5.8 billion in 2011. EADS, which comprises Airbus, Astrium, Cassidian and Eurocopter, had revenues of EUR 49.1 billion in 2011, and employed a workforce of more than 133,000.